(1) The quote was sourced directly from The Ragnar Leg webpage. 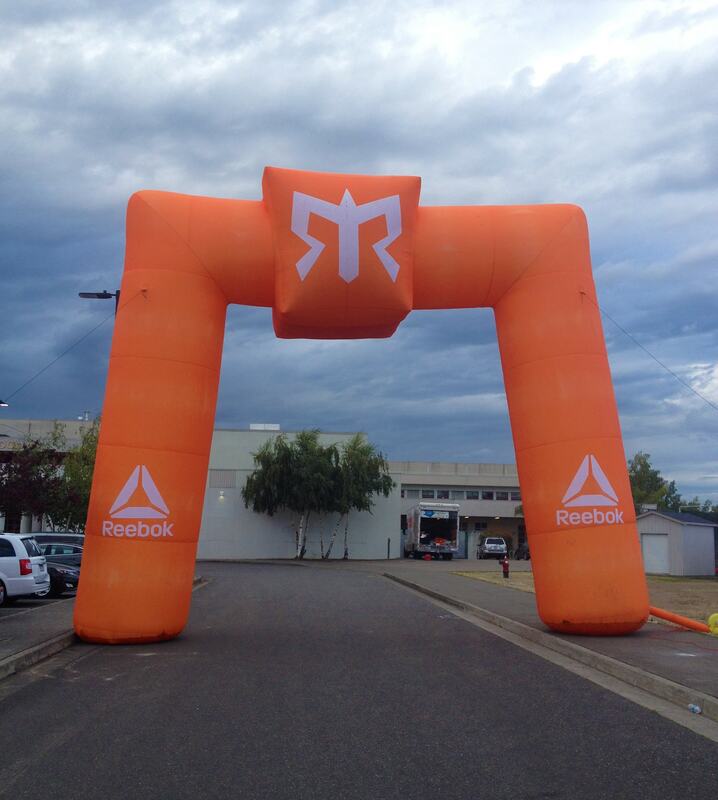 (2) To learn more about what a Ragnar Relay entails visit, What is Ragnar? I followed my standard rehydration and recovery snack routine post-run before jumping in the team car to head up to the next cheer point, approximately 5 miles into the next leg. With just one more runner before the opportunity for a hot shower, I hadn’t changed out of my run kit, but rather added warm layers of clothing. I then proceeded to eat. My favorite guilty fuel is french fries - I loaded up on carbs and lipids, thinking I had at least 6 hours until my next relay leg. So, we drove back down the road and I was handed the team relay band. Fortunately, our team captain was a Doctor, indeed a foot and ankle specialist, so Felicity was in good hands. In the meantime, I set off for 4.5 miles of relatively unknown territory. “It’s mostly straight sections, with some hills,” said Felicity. I set off with many thoughts running through my mind. In addition to Felicity’s obvious distress, I wondered how many extra miles I would be running both in that leg and the next day. I wondered how the relay legs would be re-worked. I wondered what “some hills” meant. Then my stomach reminded me that I had just eaten way more than a pre-run snack. To say that I was uncomfortable would be an understatement. I felt like crap! I had no idea of my pace, but I could see the tail lights of runners ahead, and I seemed to be getting closer to them. Running into the darkness, with a further 10 miles waiting for me the next day, I knew I had to get my head straight. Using my mindset training, I relaxed my thought process and re-focused on the basics. Aside from my stomach, my body was working well. 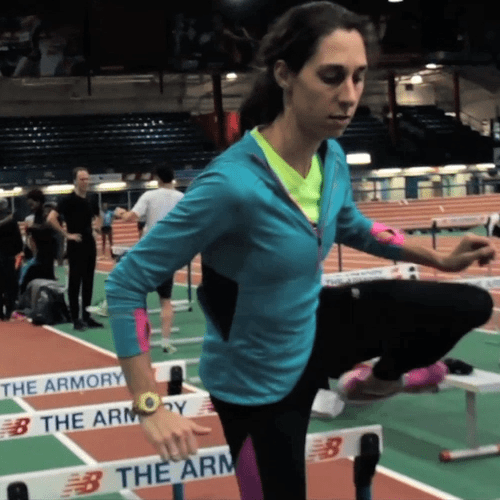 I knew to channel my thoughts towards the things I could control - my stride, posture and pace. I took a few deep breaths and relaxed my shoulders. I shortened my stride, seeking smooth cadence for comfortable long running. I looked forward, and focused on the road ahead. I settled, and started to again make ground on the runners ahead without pushing my pace. The sun was rising, and I started to feel better. I regained my composure and passed more runners. 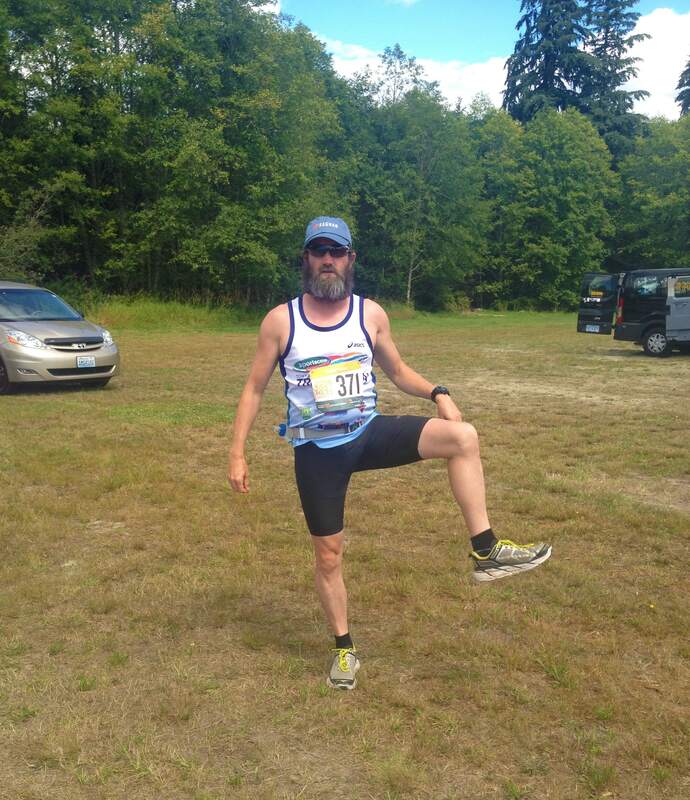 At the end of the leg I found that I had passed 21 runners and averaged approximately 8:10 minutes per mile. The experience reminded me that I am grateful for my training in mental preparation and mindset focus. Such training was the difference between disaster and success in my own personal Ragnar Leg. We started the relay with 11 instead of 12 participants, due to a late withdrawal. I was designated the Ragnar Leg with the possibility of additional miles on the third day to share the load for the missing runner. I didn’t have GPS for live pace. I only wore a standard running watch, and ran entirely by feel. During my first leg, I passed 28 runners in 6.8 miles, averaging 7:30 minutes per mile. I was pretty happy with my pace, given my limited preparation. I completed my recovery routine after my first leg. Then I focused on my preparation routine and conquered the Ragnar Leg, starting at 2 am and running at around 8 minutes per mile, surprising even myself. 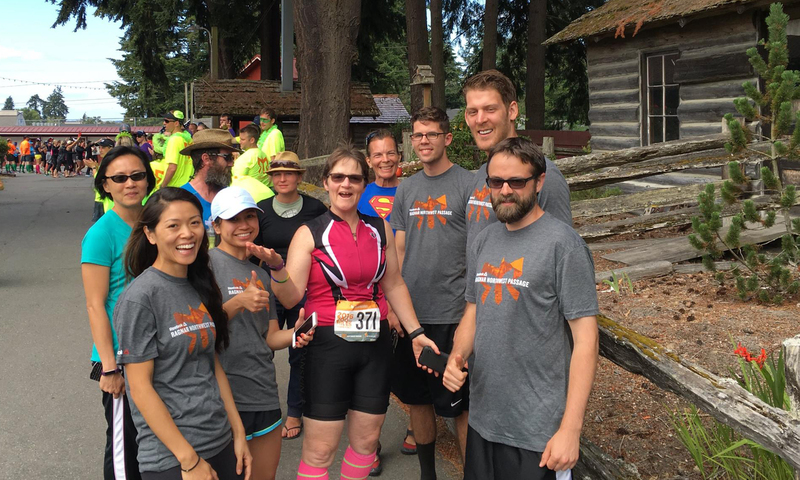 For Ragnar Northwest Passage (#RagnarNWP) the Ragnar Leg comprises of 9.8 miles of steep undulations, commencing in the early hours of the morning. I conquered the Ragnar Leg with a pace of 8 minutes per mile and 32 Roadkills (when you pass opposing teams). Little did I know that my true challenge would come 30 minutes later. I signed up for Ragnar Northwest Passage in March, thinking it would be a great opportunity to see the Pacific Northwest, and catch up with some of the friends I met while doing Transrockies. The relay would be 3 months into a long vacation touring USA and Central America with minimal running-specific preparation. Closer to the start of the event, I found out about the Ragnar Leg and asked for the extra challenge. 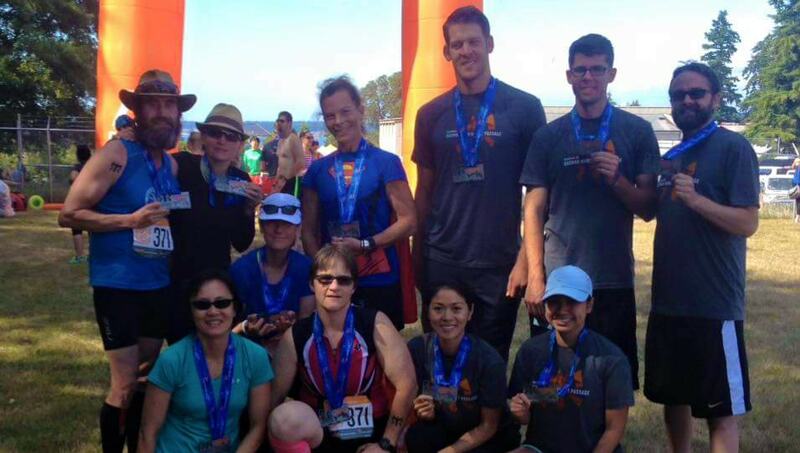 A Ragnar Relay is an overnight team relay of about 200 miles of running in teams of 6 or 12. Each runner performs three relay legs graded according to distance, elevation change, and time of day (or night). (2). “There is always that one leg that is longer, steeper, more challenging and more talked about than any other on the course - The Ragnar Leg.” (1).